This pattern was SOOO easy to put together. It is all made up of half squared triangles, that give the illusion of a large star in the middle. The edge is done in prairie points, which gives it a nice finish. 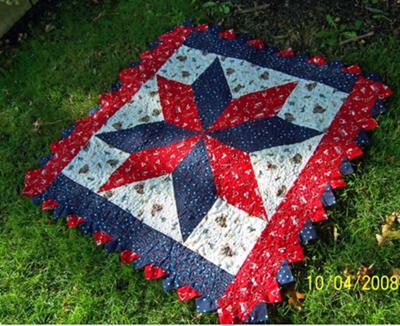 I made this quilt for my grandson Zachary.